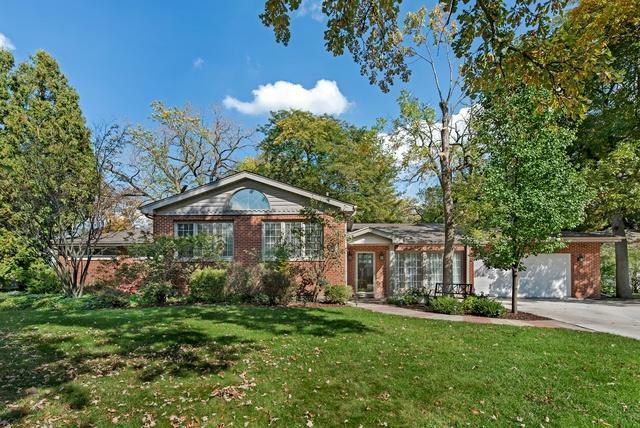 DRAMATIC VAULTED CEILINGS AND DOUBLE HEIGHT PALLADIUM WINDOWS MAKE THIS UPDATED RANCH HOME AN ARCHITECTURAL DELIGHT IN DESIRABLE GLEN OAK ACRES. 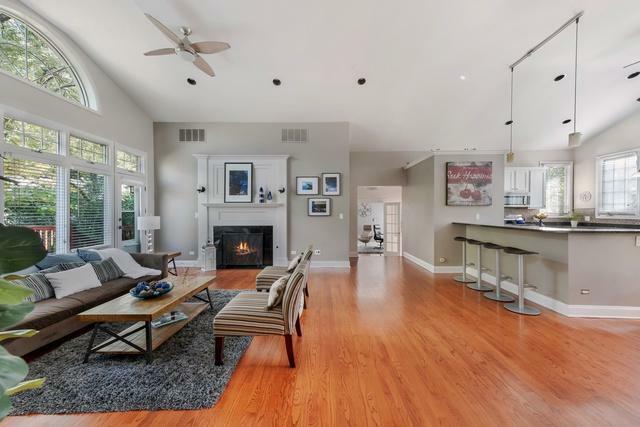 Huge open floor plan flooded in light with gleaming hardwood floors, this charming one-level home boasts a gorgeous FAM RM framed by windows and an exquisite white wood surround WBFP as the room's centerpiece. Renovated KITCH with white cabs, soft-close drawers, granite countertops, built-in butcher block, center isle and bar seating. MASTER BEDRM with new ensuite MASTER BATH features multi-spray shower. 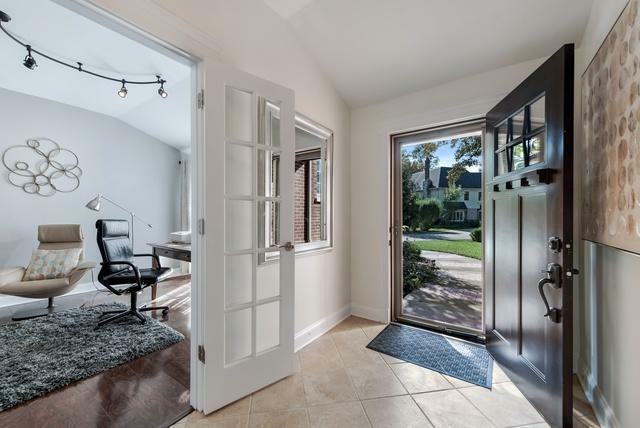 Sophisticated OFFICE with French Doors and custom built-ins can be 4th BEDRM or Playrm. All new gut-renovated Baths, designer lighting, new roof, soffits, fascia, gutters and new high-efficiency a/c. Enormous cedar deck, new firepit and lush landscape create an enchanted outdoor retreat. Ride your bike to Cole Park, Wagner Farm, Tennis Club. Mins to Hwy 94 and Metra. 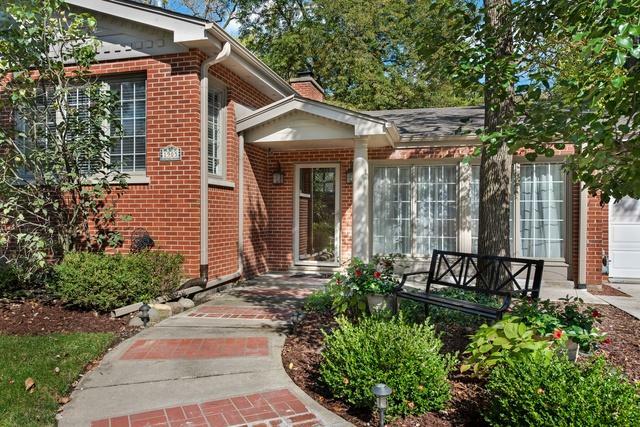 Top Glenview schools in prime East Glenview location!